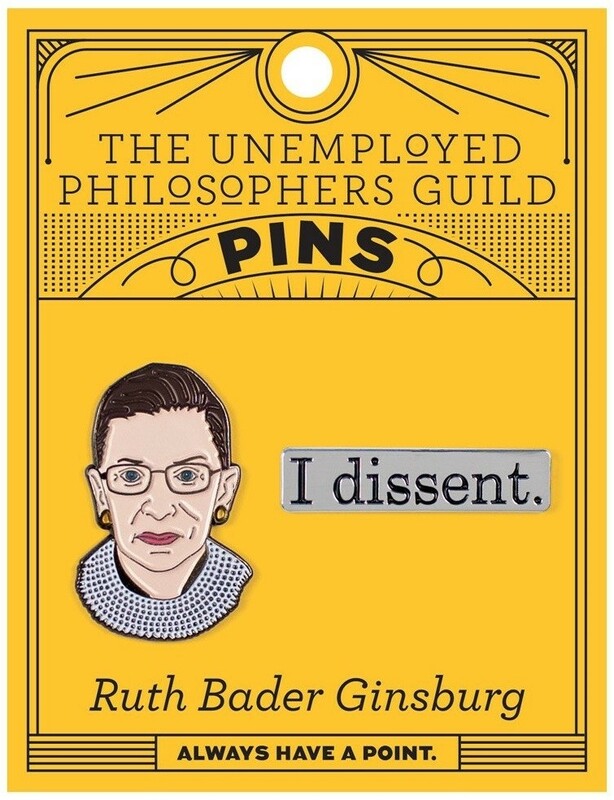 Wear your heart on your sleeve and inspiration on your lapel with these enamel pins from The Unemployed Philosophers Guild! 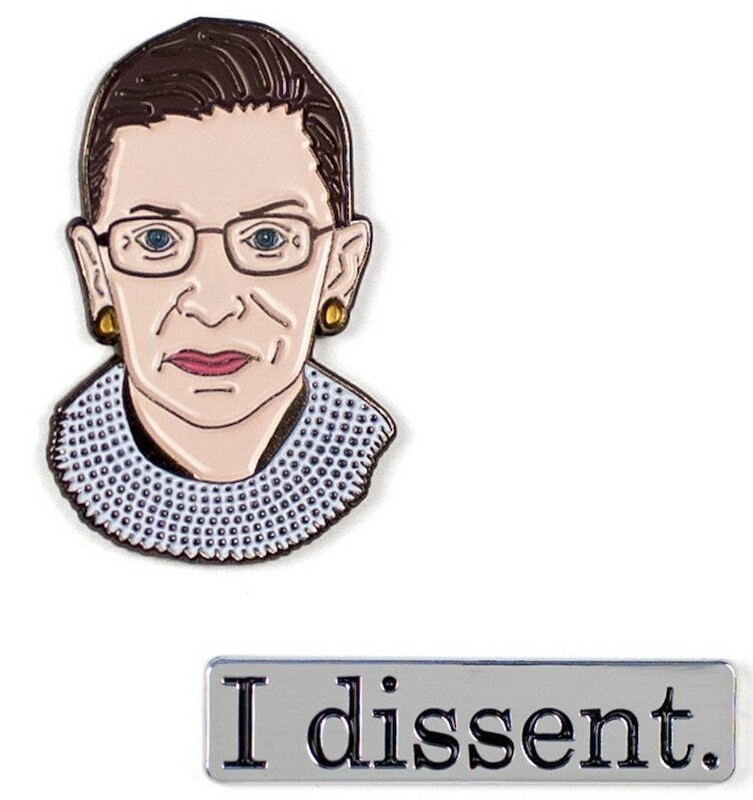 This pair features the inimitable Ruth Bader Ginsburg; one pin depicts her face, while the other boldly declares, "I dissent." These brass, nickel-plated, enamel pins are built to last, and come with rubber backs that will ensure your pins stay put. 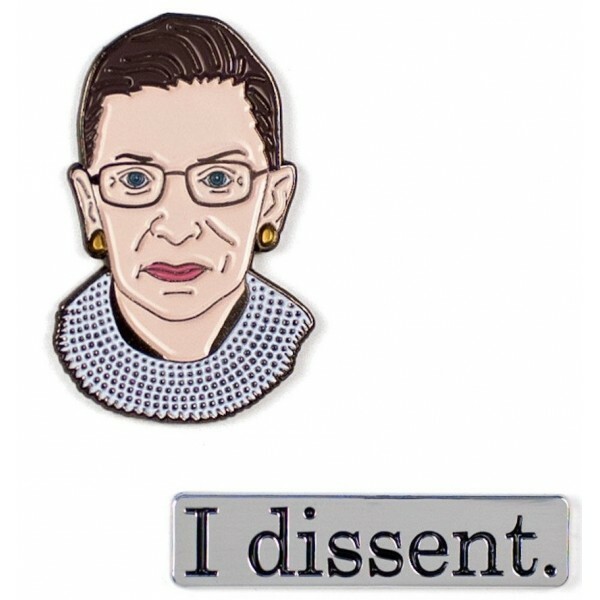 They're the perfect way to pay tribute to a groundbreaking lawyer and an American icon! For more clothing and accessories for Mighty Girls and women of all ages, visit our Clothing Collection.